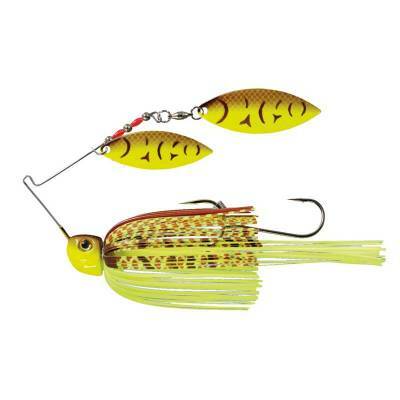 Strike King Tour Grade Painted Blade Spinnerbait - 3/8oz Chrome Belly Craw. Features beautifully painted blades that match the color patterns of the head and skirt. Weight forward head design with Spin-Eze ball bearing swivels and Vibra-Max stainless steel wire allows easy movement through heavy cover more easily. Assorted colors available.